I had heard a lot about the Stellenbosch wine region and I was very eager to visit this much talked about town and its wineries. We visited some 6 wineries, with each winery offering anywhere between 5 and 30 wines to sample. At Stellenbosch I first sampled the J.C. Le Roux champagnes, or Method Cap Classic (MCC) as it is known here, because no one can actually call their sparkling wine champagne these days, unless it is grown in the Champagne region of France. We slowly drove down the café and art gallery roads of pretty Stellenbosch town before venturing out of the town for some more wine tasting. 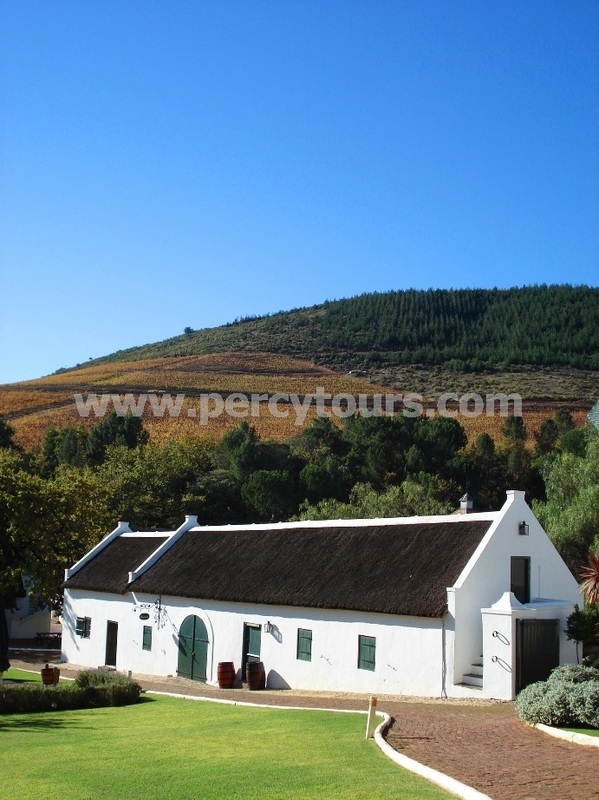 At Beyerskloof I sampled many different Pinotages, a local speciality and one that Percy tells was invented in South Africa. It’s a delightfully soft and smooth red wine and I quite liked it. There was an amazing Port too. We paused for a picnic lunch at Simonsig’s gardens under the shade a large oak tree and with what was probably a bottle of wine consumed by me from the mornings tasting I could have probably been quite happy to curl up and have an afternoon siesta. 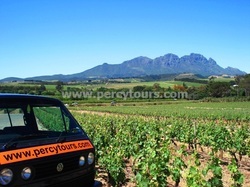 Fortunately I was buoyed up by Percy's enthusiasm and impressive knowledge of the local wine and it wasn't long before we were back on the road taking in a few more wineries. Many of the wineries we visited were what they call “boutique wineries”, that's not to say that they sell snazzy clothes along side the wine but that they only produce relatively small quantities of wine. Although the quality of the wine produced stands high in comparison with the best in the world, the quantities make it unviable for many to export, so South Africa and the Western Cape in particular, benefit from keeping the wines to themselves. For many, if you want to taste them you will have to come to South Africa, because they are not getting on a boat to visit you. Not every wine was to my liking and I'm no connoisseur but the afternoon certainly introduce me to few more new wines that I will be definitely looking for on the wine list when I am next out for dinner. In addition to wines, some of the wineries also specialised in other products like honey, olive oil, jam, cheese and salami and in all it was a day that was both entertaining and informative and one that my taste buds will have recorded in their diaries for posterity.